↑ Ritter, H. (1986), “Attar”, Encyclopaedia of Islam, New Ed., vol. 1: 751-755. 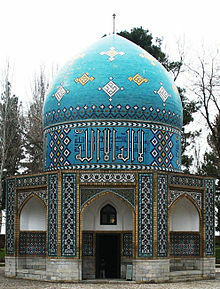 Excerpt: "ATTAR, FARID AL-DIN MUHAMMAD B. IBRAHIM.Persian mystical poet."